It was 5:45 a.m. when Lisa Caldeira ’07 noticed the first hints of a sunrise from her vantage point on the world’s tallest free-standing mountain. 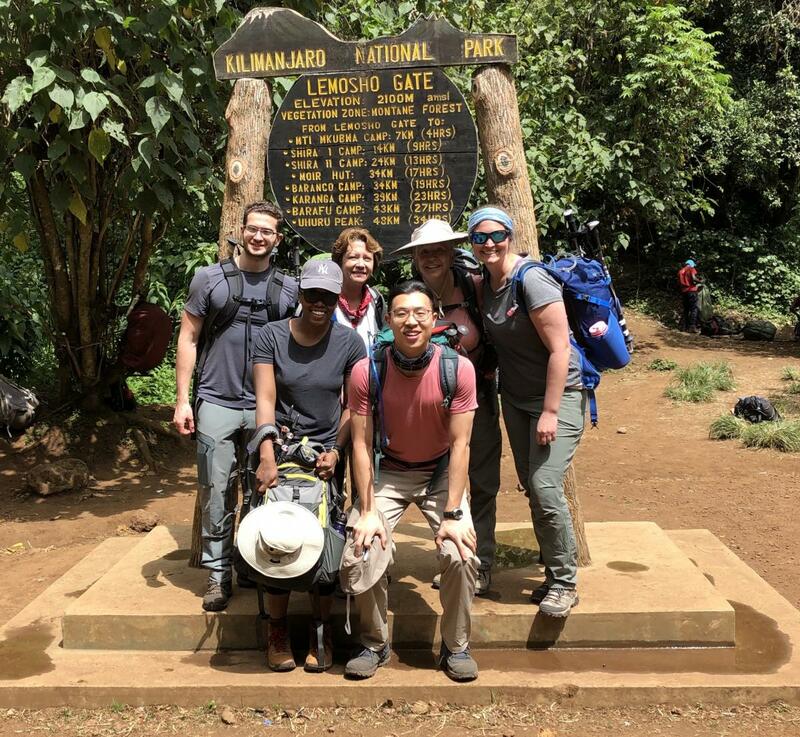 That overnight push was the culmination of an eight-day journey that brought the group through five ecosystems: from lush green rainforest filled with monkeys, to a white snowscape at 19,341 feet in altitude. 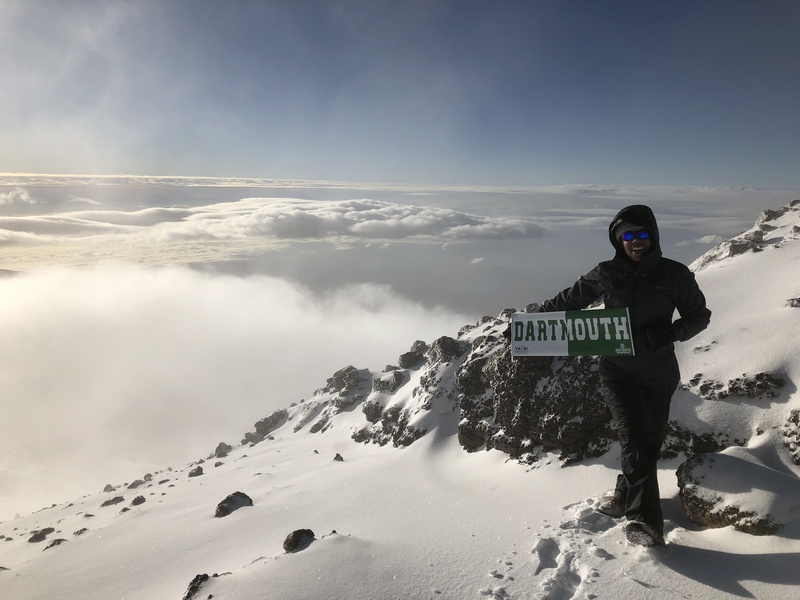 Indeed, the Dartmouth alumna never intended to hike one of the Seven Summits (the highest mountains on each continent). “It was definitely not on my bucket list,” she says. In fact, her original plan was to do a half-marathon. The LLS organizes athletic fundraising events through its Team In Training program, and Caldeira—who now lives in Hanover and works for Dartmouth Alumni Relations—was hoping to participate in her second run. Caldeira, bottom left, with her group at the start of the hike. But while researching races, she stumbled on information about a program called Climb 2 Cure, through which participants climb mountains to raise money. “I found it at a unique time in my life when I was looking to be a little more adventurous,” she says. 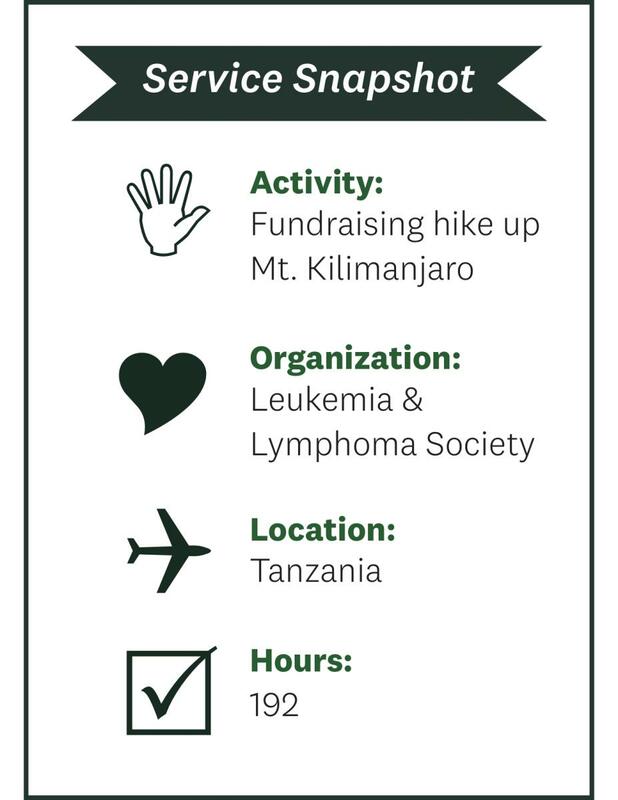 So, she set a fundraising goal of $5,000, and she set her sights on Tanzania. The funds she raised will help the LLS support research to cure blood cancer. Since Team In Training was founded in 1988, 650,000 participants have raised over $1 billion for the cause. With a group-oriented focus and a streamlined support system for athletes, Team In Training has become the world’s largest charity endurance training program. “I’ve really come to respect not just LLS, but also how Team In Training brings together strangers,” Caldeira says, citing the comradery she developed with teammates as one of the most unexpected rewards of the trip.